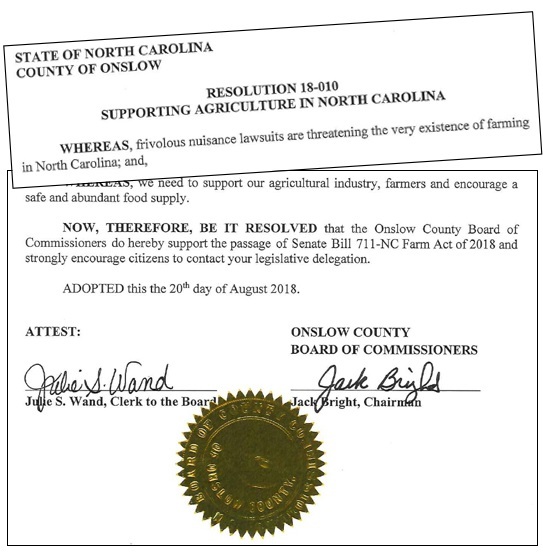 Leaders from across North Carolina are continuing to show support for agriculture and the 2018 Farm Act amid ongoing lawsuits, as their schedules have permitted. 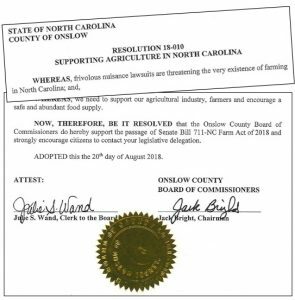 The county commissioners in Onslow County and Polk County are the latest to show support for farmers at a pivotal moment as lawyers attack agriculture. These latest resolutions are in addition to support from across agriculture.